Posted on February 26, 2016	by Victoria Benoit, M.C. Using Resonance Repatterning®, we will focus on a particular chakra each month in 2016 starting from the Root to the Crown. 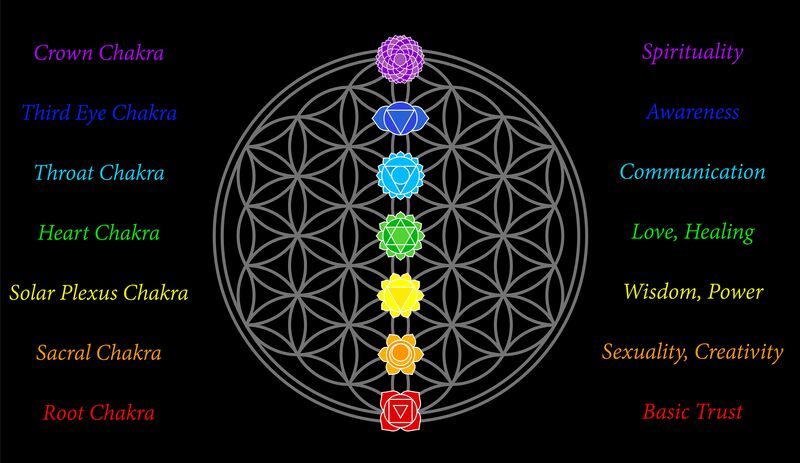 The chakras are reservoirs of spinning energy that create and maintain physical, emotional and mental functioning. When your basic life needs are not met, thechannels become blocked, energy flow becomes excessive or stagnant and the chakra pulsations lose their natural rhythm. The consequences are; emotional discharge through fear, frustration, anger, grief or hyperactivity; emotional withdrawal throughexhaustion, depression and the inability to be embodied or present; pain, poor health, low vitality and the inability to connect with others which leads to communication problems, conflict and other relationship issues. Energy moves out from each Chakra through thousands of channels known as Nadis to every part of the body-mind system. When energy constricts due to unresolved issues from the past, it manifests in Chakra distortions. The color becomes dull, the chakra may become tipped, misaligned, have holes or tears, be underactive and no protective filter. If the energy flows out with too little force, the body becomes sluggish. If the flow has too much force, it creates hyperactivity. This results in confusion, lack of clarity, frustration, indecisiveness, lack of focus, feeling stuck and an inability to follow through and manifest your goals with success and ease. We will identify the problem you are having that is associated with the chakra imbalance. Using Resonance Kinesiology (muscle-checking), we will proceed by clarifying the chakra non-coherence involved, the emotional response and resulting manifestation in your physical body. From here, we will verify the unresolved earlier experience underlying the chakra non-coherence and what negative conclusions you came to about yourself, others and life because of this experience. The involved vertebral non-coherence, chakra triad disruption and distortions, as well as the chakra shock will be determined, all of which will be transformed, by discovering what is needed to balance the chakra. The groups are on the second Thursday of each month in Phoenix, AZ. 7-9 pm. For those interested who are out of town, or just cannot make it that evening, I can proxy you in, which means with your permission, I will include you in the session. If this speaks to you, I’d be honored to include you. Posted on February 6, 2016	by Victoria Benoit, M.C. According to Bert Hellinger, the creator of Family Constellations, 80% of our personal and professional problems have a family system cause. The family system we belong to is that of our biological ancestors. Even if we were separated from our parents when we were young or were adopted and raised by another family, we still have strong and invisible ties to our biological family system. Healing the family system we belong to, is essential. When we have unresolved issues in our family system this can affect us deeply. An unresolved issue is one which hinders a member of the family from feeling peace. This can be due to an event that happened many generations ago or in childhood. An unresolved event may be expressed in our lives as disease, depression, difficulty in relationships, unhappiness, fear of commitment, weight gain, financial issues, etc. This means that our fate is being directed by the coherent and non-coherent patterns of the family system we belong to. Through the conscious knowledge of the family systems’ patterns and with the force of love, the individual is transformed, and the flow of love is re-established in the family. Like a hologram, because each one of us is a part of our family system, when we heal a part of it, the whole is also healed. It is through our parents that we receive life energy and when we heal our relationship with them, we can become grounded in life and open to receive what is best for us. In order to be in peace and live our lives independently, we must take everything they have given us and separate from them peacefully. To honor them, we must do something very great with our life. Every month in 2016 I will be offering a Repatterning on a specific topic to help you heal your biological family system. The list is below. We can do a private session if you live in Phoenix or we can do a phone session. Sessions are normally $190.00. This year’s special is only $145.00. If this opportunity resonates within you, please give me a call. My contact information is below. Posted on October 9, 2015	by Victoria Benoit, M.C. September 2015 Specials – I Care About You and Your Life! Posted on September 1, 2015	by Victoria Benoit, M.C. Posted on April 3, 2015	by Victoria Benoit, M.C. Attention authors in Tom Birds Publish Now Program! I am privileged to be able to facilitate a Writing Repatterning for those of you participating in Rama on Writing webinars on Saturday mornings. Using Resonance Kinesiology (muscle checking), we will discover the unconscious patterns as well as the earlier experience and resulting beliefs about yourself and your writing that are holding you back. Once you resolve the unconscious patterns and bring your vibration back into sync, this coherence will be mirrored in your writing, editing, publishing and marketing of your book with more ease and grace. It will even be reflected in your self-expression and in your life! Keep on the look for the date. Here is my latest Newsletter filled with my monthly specials. If something calls to you, call me! 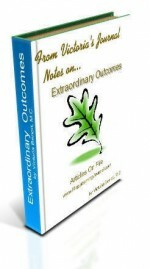 It would be an honor to assist you in living an extraordinary life!